The Lake Havasu Area Chamber Ambassadors held a ribbon cutting ceremony for Arizona Dermatology Group celebrating its grand opening. Attending the ribbon cutting were Sharon Oakley, Christina Sutton, Jennifer Navarro, Dr. William Kivett, Megan Vogl, Christina Hernandez and Crystal Alger. 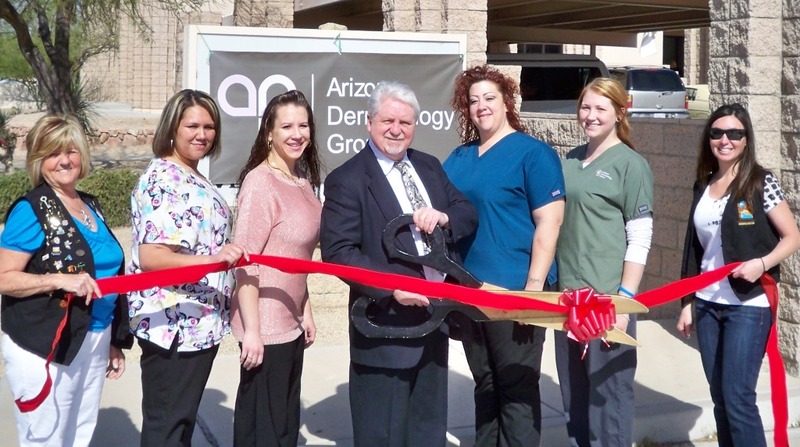 Arizona Dermatology Group is privileged to have the opportunity to open a location in Lake Havasu City. They strive to accommodate the needs of all of their patients and provide comprehensive care for common skin problems as well as complex and difficult cases. To see all of the services they offer or to find out more about their practice visit www.arizonadermatologygroup.com or contact them at 928-776-0325.